The Ben & Holly TV show on Nick Jr. continues to grow in popularity, with Golden Bear signed as the main licence holder to design and manufacture the toys. Giggly Talky Holly replaces the original Princess Holly, with new design features and an even more attractive look. Holly’s wings feature silver edges, and her sparkling pink dress is simply stunning! When girls press a cleverly concealed sensor in her hand, she talks five different phrases from the TV show, and sprinkles them with a hilarious selection of infectious giggles. 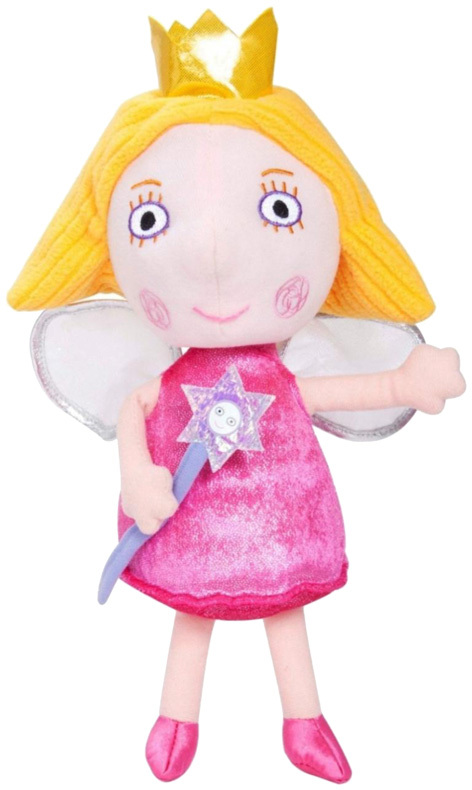 Complete with her own wand, Giggly Talky Holly is the perfect soft doll for little girls aged 10 months and over. Please tell us what you think of the Giggly Talky Holly by Golden Bear.